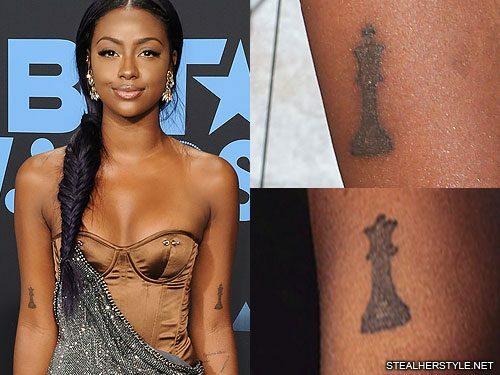 Justine Skye has matching king and queen chess piece tattoos on her upper arms. 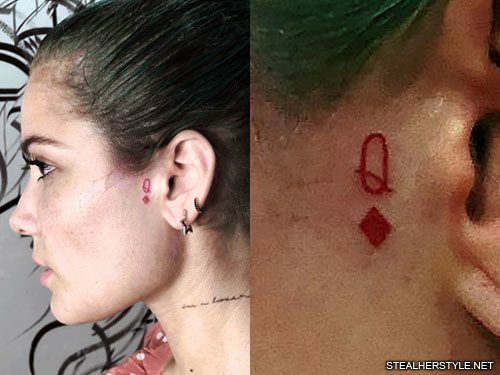 The king is on her left arm and the queen is on her right. 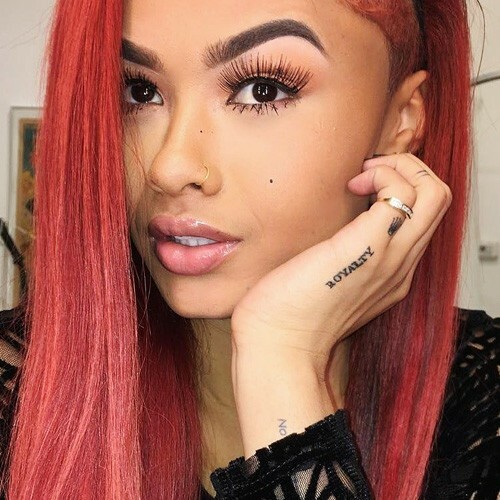 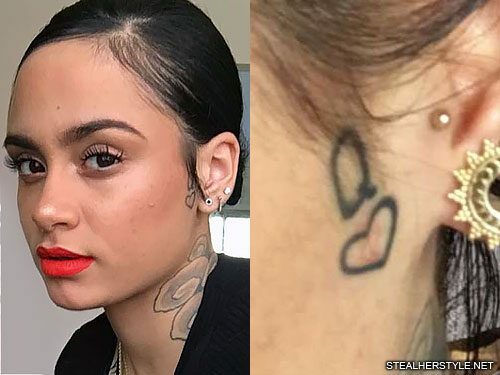 Kehlani has the Queen of Hearts logo from a deck of cards tattooed on left side of her face in front of her ear. 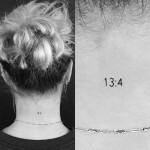 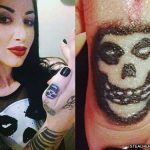 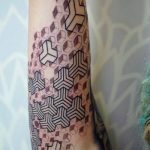 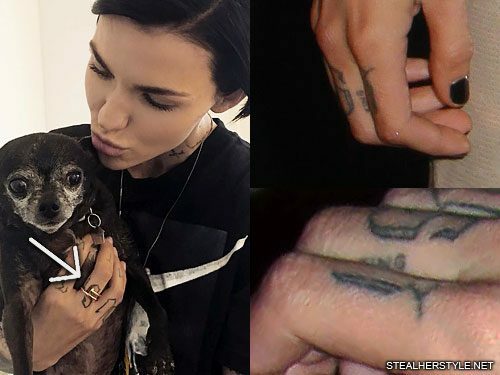 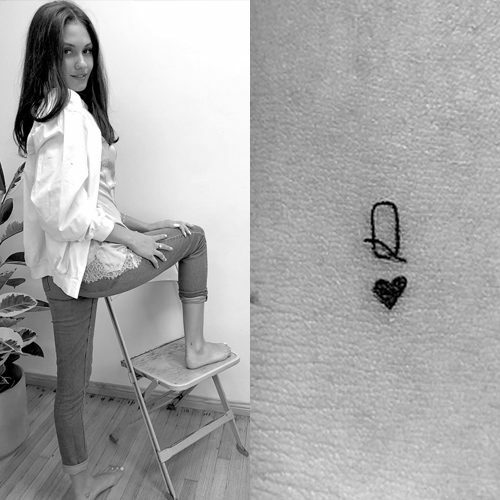 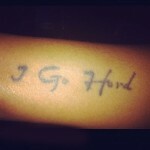 She got this tattoo in August 2015. 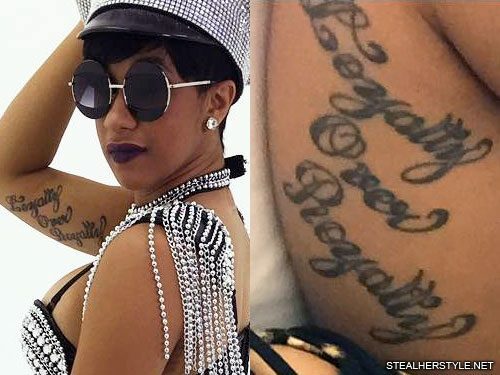 Cardi B has a tattoo on her right bicep that reads “Loyalty Over Royalty”. 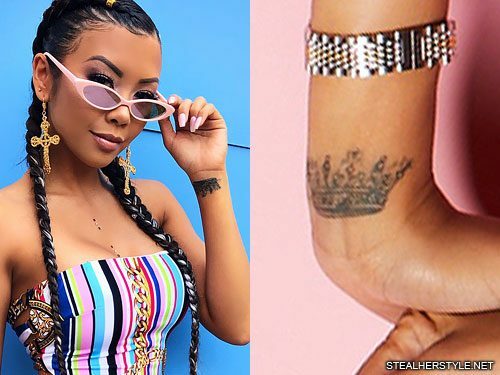 Snooki has a tattoo of a gold crown and a pink bow on her upper left arm. 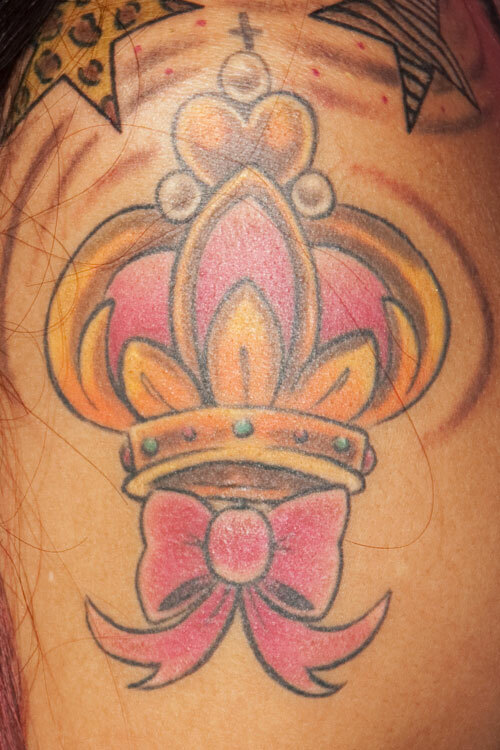 The top the crown is decorated with pearls, a heart, and a tiny cross.